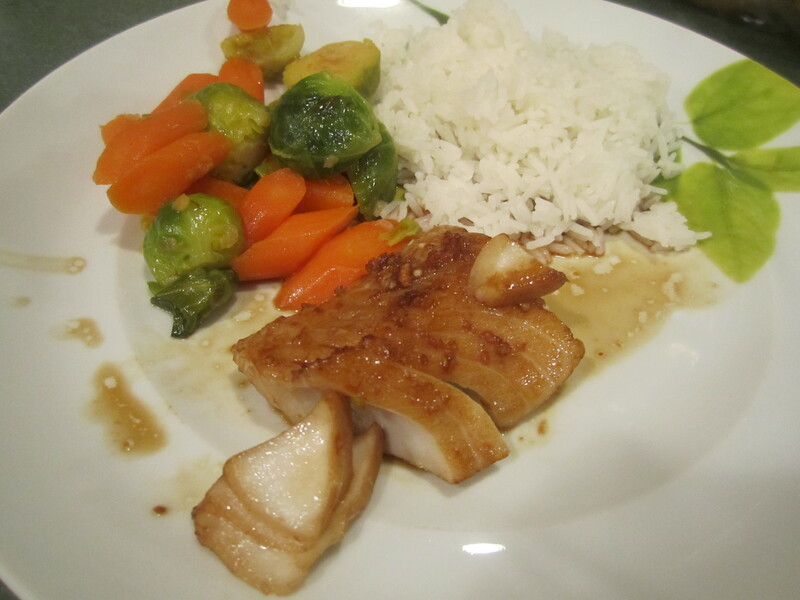 I went to my favorite fish store, Mount Kisco Seafood, with a specific fish and recipe in mind but ended up getting Black Cod filets, instead. I had never had them before and thought it would be interesting to try. When I got home, I needed a new recipe and found this one from Food.com. Very simple and very delicious. Thanks Julie! Silk, that is the only word that properly describes the texture of this fish. Absolutely amazing! A little expensive but well worth it. Place butter, marinade and garlic into a shallow glass dish (like a glass pie plate) and stir together. 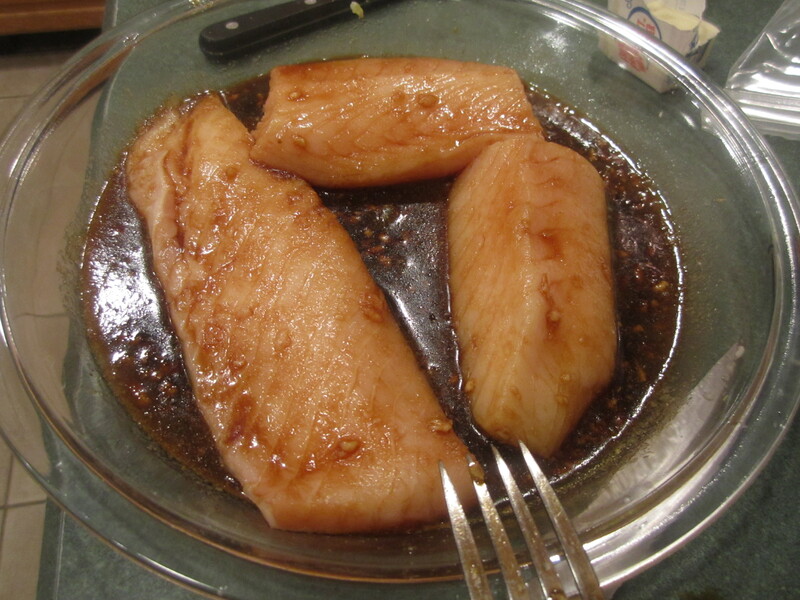 Place fish into marinade, turning over to coat. 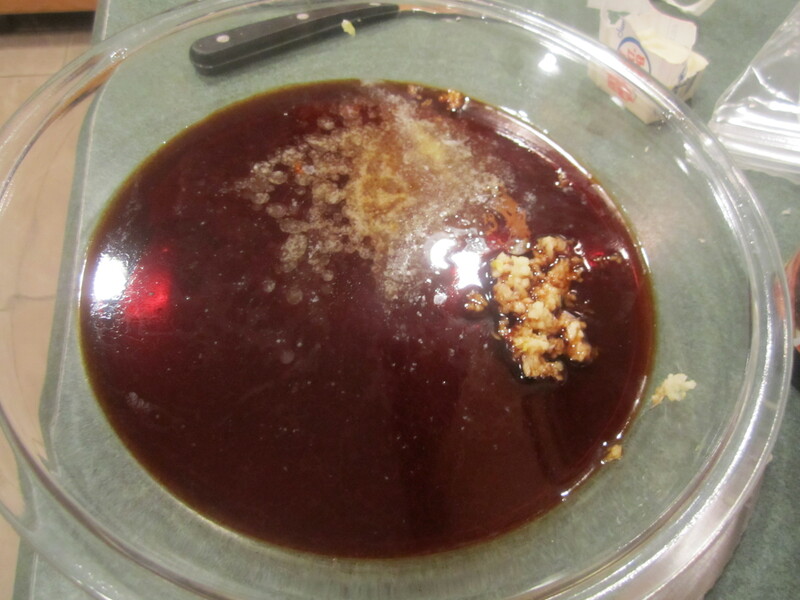 Place into refrigerator and let marinate for 20 minutes. 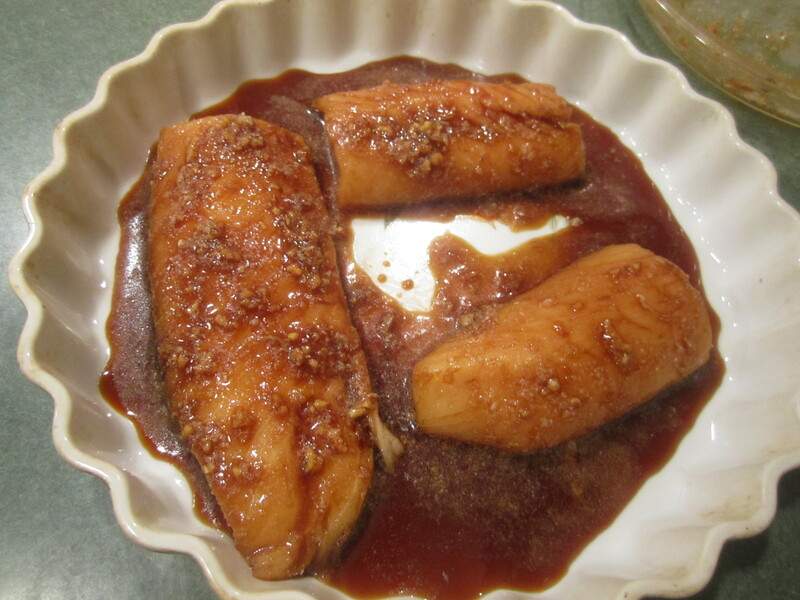 Remove fish from refrigerator and place in shallow baking dish. Pour marinade over top. 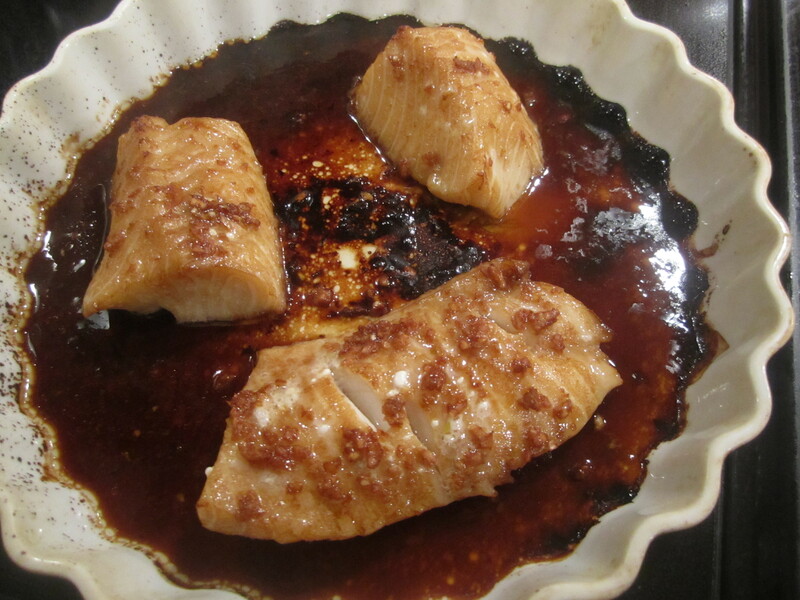 Bake for 20 – 30 minutes until fish flakes easily. 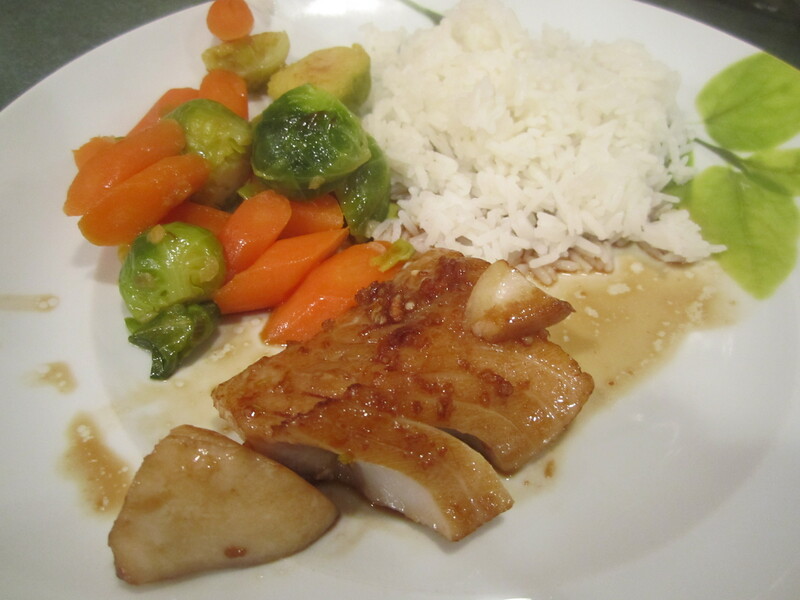 Serve with rice and sauce.